Here are four key tips for getting and staying on the radar screens of financial-executive recruiters. Can You Outsmart a Behavioral Assessment? I have a few reactions to this type of request. First, if we really do have John Smith in common, then we are off to a good start. Retained search firms rarely, if ever, respond to cold calls or emails. Making your first contact with a firm through a credible referral is about the only way you can get a response. Second, retained search firms do not represent individuals on spec and will never market you to an employer unless they have been retained to fill a discrete position for one of their clients. Consequently, working with only one search firm will limit the opportunities you will be able to evaluate. Indeed, executive search is probably the only professional service where we encourage executives to cast a wide net with our competitors. The likelihood that any one of us has the right position for an executive, at that particular moment, is small. However, the likelihood that we, as an industry, will have an appropriate opportunity is quite large. Knowing this fact, how should a CFO build his or her brand within the executive search community to ensure he or she gets the call when a blue chip position comes up? Here are a few pointers. Always return the call. If a reputable search firm reaches out to you about a position, respond to the call, even if the role in question is not a good fit for you. Get to know the search consultant, make referrals to people in your network, and offer some guidance on what you are looking for so that the recruiter will understand what positions to call you for. Research the field. Conduct your research on retained search firms to better understand those that seek to fill positions in which you would have an interest. If the firm doesn’t handle senior financial officer roles as a large part of its practice, then you are wasting both its time and yours by reaching out. Get a referral. As stated above, you usually need a credible referral to get yourself in the door of a top search firm. Once you’ve identified your target list of firms and individuals within them, scour your own network to see who knows them and can make an introduction. Referrals are very important in this scenario; cold contact almost never works. Look for opportunities to strengthen your personal brand. Find a speaking opportunity at a conference. Write a blog or an article. Serve on a nonprofit board. These kinds of activities increase your visibility in the business community while demonstrating your value through your actions. Also, make sure your LinkedIn profile is comprehensive and up to date. It’s the single biggest social media tool in use by executive search. The more detail you provide, the more likely you are to be contacted. Unquestionably, your first career development priority should be striving to be an excellent financial officer. However, that’s just the cost-of-entry skill set. You also need to be a strong networker and be able to build relationships within the executive search community. Remember, the search firm works for the employer, not you. The only person who truly has your best interests at heart in the recruitment process is you. That’s why it is critical to take the above steps to ensure that your objectives are appropriately served in that process. 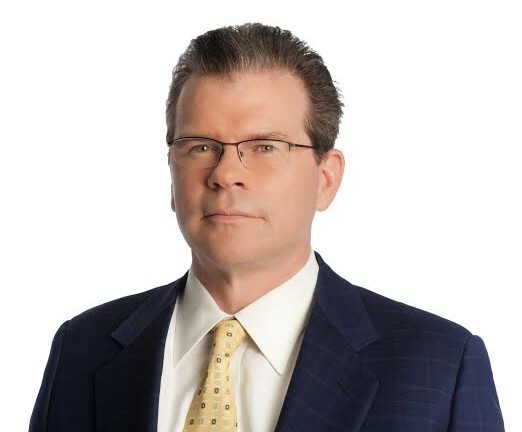 John Touey is a principal at executive search firm Salveson Stetson Group with 20 years of experience providing executive search, human resources, and management consulting services to organizations in the healthcare, financial services, utilities, manufacturing, and pharmaceutical industries. Follow him @JohnTouey.